Want to infuse your life with more creativity, more joy and more magic? This is your lucky day. You know what’s inspiring about Katie Kemerling? She actually does those things we’re always being urged to do: she takes chances; she tries new things; she puts herself out there – and the result has been incredible personal and professional fulfillment. Buckle up for a real joy ride as Katie shares her secret to embracing serendipity (there are super powers involved) – so we can cultivate more moments of good fortune in our lives and our businesses. 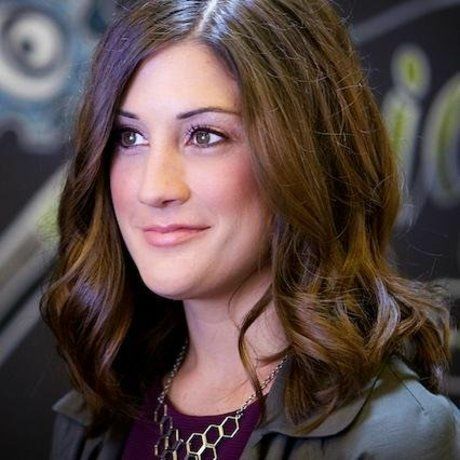 Katie Kemerling is the Chief Marketing Officer at Ervin & Smith, an Ad Age Best Places to Work digital agency. With nearly 15 years in the industry, she has expertise in launching new brands and products, building lead-generating content campaigns, leveraging the power of social influence and improving overall marketing ROI. Outside of work, she can be found out to eat with her husband, walking her Wheaten Terrier, watching crime shows, soaking up knowledge from friends, training for Market To Market, reading style magazines and listening to Audible (current book: On Fire by John O’Leary).